After following observation of DONE, we saw players were curious to receive not only EXP but DROPS, and so the following weekend we shall have boosted EXP/DROPS! 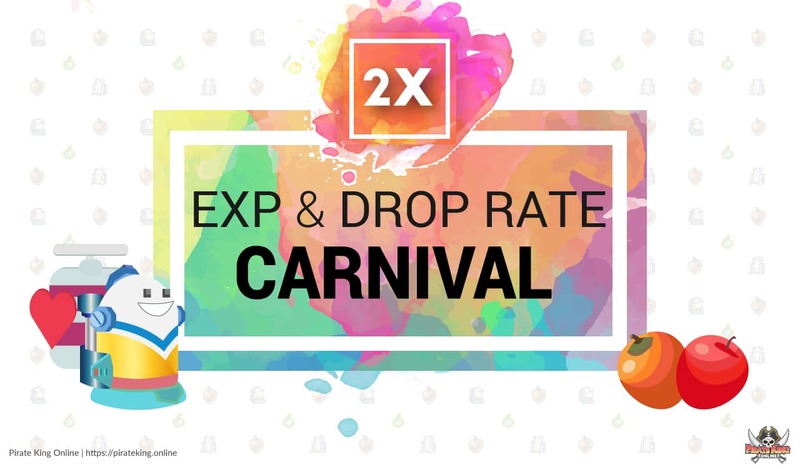 The following hours will have 2x EXP rates and 2x Drop rates activated! If I use amp of luck/CB during 2x drop rate. Will it be 4x drop rate? Alguien que juegue toppirata GO?